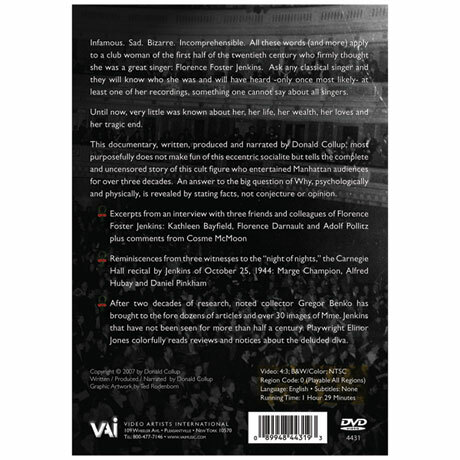 In the hit film directed by Stephen Frears ("Philomena," "The Queen"), three-time Oscar® winner Meryl Streep stars as New York heiress Florence Foster Jenkins, the world's worst opera singer. Told to "sing badly" in the film, Streep does her own singing as the deluded diva. But what's the real, non-Hollywood story of this eccentric socialite who firmly believed she was a great singer? And what did Jenkins really sound like? 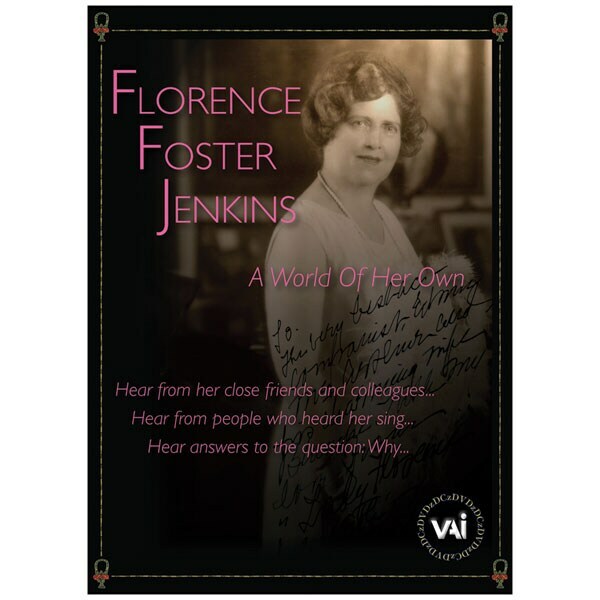 Donald Collup's respectful and thoughtful documentary, "A World of Her Own," explores Jenkins's life, wealth, loves and sad end and answers the question "Why"? B&W and color, 82 min.